Jimmy White MBE is one of snooker’s best-known characters. One of the most famous snooker players in the history of the game, he is also one of the most naturally talented players we have ever seen. Jimmy first came to the attention of those in the game when he won the National Under-16 title in 1977. At the age of 16, he won the English Amateur Championship which qualified him to enter the 1980 World Amateur Championships in Tasmania. He duly became the youngest winner of that championship just 191 days past his eighteenth birthday. In 1986 Jimmy White won the Pot Black tournament. White is a six times World Championship finalist, the 1980 World Amateur Champion, 2009 Six-red World Champion, 2010 World Seniors Champion and 1984 World Doubles champion with Alex Higgins. White’s non-world championship achievements include the UK Championship, the Masters and the Nations Cup. Jimmy is a two times winner of both the World Cup and the British Open. White was also the first left-handed player, and second player overall, to record a maximum break at the World Championship. Despite being best known for snooker, Jimmy White is also a pool and poker player. Along with Steve Davis and Alex Higgins, White was a member of Europe’s victorious 1995 Mosconi Cup Pool Team and won the deciding match against Lou Butera. 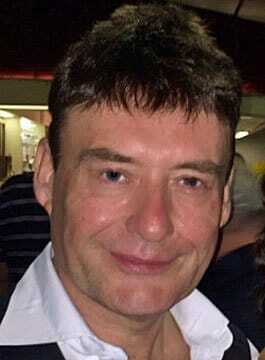 Jimmy White continues to compete in tournaments around the World. He is available for Personal Appearances, Snooker Exhibitions and Speaking Engagements.